Amid the cold and gloomy weather this time of the year, it would be nice to enjoy this traditional hot chocolate drink that goes along well with any kakanin. Learn how to make tablea tsokolate. 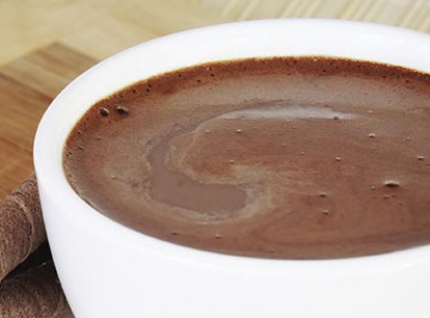 <>In Batangas, Cavite, and other neighboring provinces in Southern Tagalog, tablea tsokolate or traditional hot chocolate, has always been very popular especially this time of the year. It is usually served in households before the family goes to the traditional Simbang Gabi during the Christmas season. Without a doubt, it is a drink that goes well with traditional rice cakes like puto bumbong, bibingka, and puto. Some people prefer to put pinipig (young glutinous rice) into it to make it a complete meal. Others prefer to enjoy it while eating suman (native rice cake that is carefully wrapped in banana leaves). You may want to try operating a small food stall that serves it along with kakanin in time for Simbang Gabi. Or if you are already managing a restaurant, you may try including tablea tsokolate in your menu for the season. Local customers may not be able to resist it especially during cold, gloomy weathers in December and January. It is fast and easy to make tablea tsokolate. Here’s a simple recipe you may try right away. You can buy tablea in the grocery or online from several suppliers. This makes a cup of the traditional hot chocolate drink. 1. In a saucepan, pour milk and water. Add tablea. 2. Put it over medium heat until it boils. Tablea should melt. 3. Stir the mixture and gradually add sugar to give it sweet taste. 4. Pour the hot drink into a mug or cup and serve.